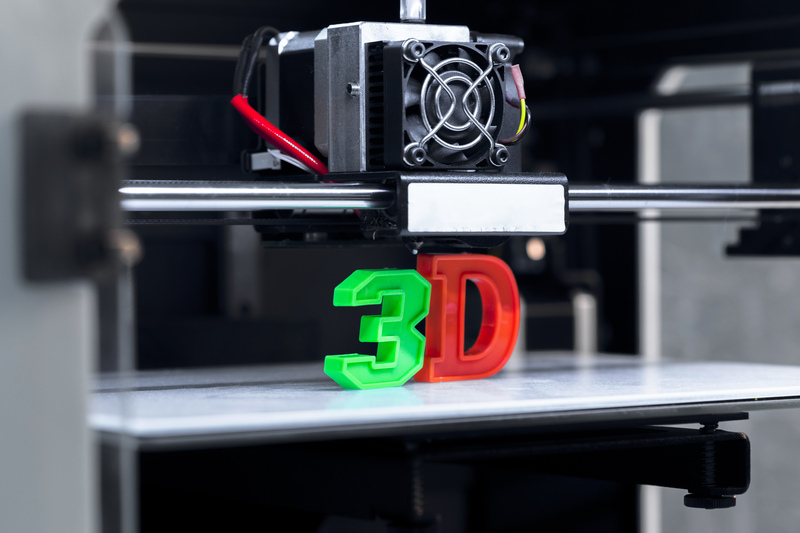 3D printing has, by now, come into its own as a process used for several types of applications: functional prototyping, demonstrating proof of concept, and even short-run production manufacturing. Yet for engineers who have experience with 3D printing for any of these applications — as well as for those who wish to introduce or expand 3D printing usage within their organisation — some best practices and applications may still be unclear. Here Stephen Bindus, Director of Operations at Kaspar Manufacturing offers some advice. The tips below address ways to improve or adopt the benefits of 3D printing for any application, in any type of organisation, for any existing level of 3D printing usage. Whether you’ve been using 3D printing for years or are becoming interested in what the technology can offer you, the information below will help you explore and expand your possibilities. First, have the right machine for the job. Take a look at the 3D printer options available in the marketplace and one thing quickly becomes apparent — you have choices. To start making sense of these choices, it can be helpful to consider these machines as falling into two broad categories. Typically, they are split into ‘desktop’ and ‘industrial’ 3D printers. You can probably get an idea of the differences from the terminology alone, but let’s make sure everything is clear. Desktop 3D printers usually have a few key characteristics. They have a smaller machine footprint, smaller max output size and a lower price point. The target market includes consumers and hobbyists as well as manufacturers (note that just because these machines are suitable for hobbyists, they shouldn’t be excluded from consideration for industrial use — more on this below). Industrial 3D printers, meanwhile tend to be bigger machines with larger output capabilities, and thus present a larger initial investment. They are better suited to use in production manufacturing. Depending on your intended use, either one may be suitable for you — but it’s important to understand these differences and the reasons why. In general, a desktop unit is well-suited for fast concepting and iterating and functional prototypes. Also they offer an easy way to render inherently 2D formats (i.e., CAD) in 3D space, and a low-risk entry point to exploring the possibilities of 3D printing. Industrial 3D printers are able to meet the first three points above as well, although, depending on the existing usage and applications within your organisation, it may be cost-prohibitive to use an industrial 3D printer for applications such as early concepting iterations. Aside from that caveat, industrial 3D printing is well-suited for larger pieces, production-quality functional prototypes and short-run, production-quality manufacturing. Something to keep in mind: with 3D printers, as with most machinery, prices are extremely revealing. If a machine of a certain type and class seems much more inexpensive than similar machines, the quality and maintenance issues you are likely to encounter will quickly offset any initial savings. • Nozzle/hot-end temperature: This setting determines the temperature used to melt and apply the base filament material. A temperature set too high or low can cause production problems. • Vertical offset: Also called the Z-axis offset, this setting determines how far above the 3D printing bed the machine will begin adding layers of filament. While you want the setting to be as low as possible, you also want to avoid setting it too low, to protect both your printing head and the machine bed. • Layer thickness: This setting determines the thickness of the layers added by the 3D printer, which, as a whole, create the finished product. Fine-tuning the layer thickness of your machine can also be used to troubleshoot production issues. While the factory settings for each of these will often be the right setting, that’s not the case 100% of the time. Fine-tuning these can often solve what may initially appear to be a hardware issue. As you adjust settings, remember to isolate the changes you’re making so you can determine which are most effective. Try to integrate your 3D printer as much as possible into your processes. The degree to which this is possible will depend on the type of machine (for example, a desktop 3D printer can’t be integrated into a production process, and an industrial 3D printer probably shouldn’t be integrated into early design concepting). Still, it’s an important point to remember regardless of your 3D printing equipment and applications. Two key ways of doing this are employee education, so be sure that each department understands why the 3D printer is there, and the applications with which it can aid. Also ensure easy access - the 3D printer shouldn’t be set aside for prohibitively specific usage or tucked away somewhere in the facility. Ideally, it will be easily accessible, physically and from a scheduling standpoint. The benefits of 3D printing are readily available and apparent for almost any application, industry and facility size. Understanding the specific areas where you want to apply 3D printing, and what needs the process can help you meet, can help you choose the right machine and get the most out of your investment.